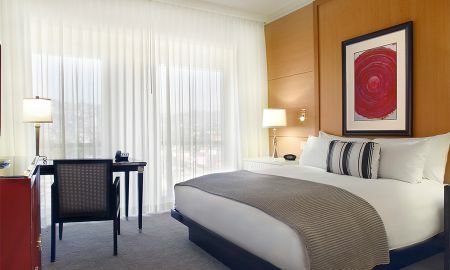 Ideally situated on the corner of La Cienega and Beverly Boulevard, the Sofitel Los Angeles at Beverly Hills is a stunning hotel that blends Hollywood glamour with European elegance to create a unique and magnificent stay. 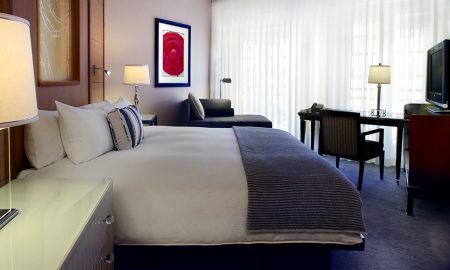 In this chic, urban escape, enjoy the renowned Sofitel experience that enchants, intrigues and refreshes every guest. Boasting 295 rooms on ten floors, including 28 luxurious and expansive suites, every room is outfitted with plush ergonomic furnishings accompanied by a contemporary and minimalist décor. Featuring state-of-the-art technology, each well-appointed abode is designed with a soft colour palette that is abundantly flooded with daylight and replete with sumptuous amenities. Enjoy Sofitel’s signature paramount of comfort for the perfect night’s rest, whilst selected accommodation offers separate lounge, work and patio areas. Within the chic and stylish ambience of Esterel, savour fresh and pulsating delicacies that capture the culinary soul of the Mediterranean. Using locally sourced and organic ingredients, the chefs masterfully blend French and Californian gastronomic delights. Discover distinctive cuisine at the hotel’s signature restaurant, then later take an aperitif on to the French garden patio. Riviera 31 includes a selection of masterfully crafted cocktails in a sophisticated cocktail lounge that hosts smooth and deep Jazz rhythms. 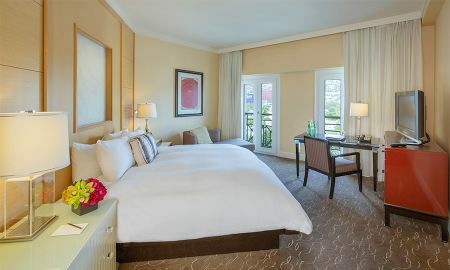 At the Sofitel Los Angeles at Beverly Hills, swim a few laps in the outdoor heated pool, or take advantage of exotic therapeutic techniques, reflecting traditional European touches that align with the Parisian origins of the Sofitel. SoSPA offers a wide array of indulgent treatments, promising hours of pure divine relaxation. Meetings are easy to arrange at the Sofitel Los Angeles at Beverly Hills. The venues are designed to reflect modern style with clean lines and lofty spaces for an impeccable service and seamless event. 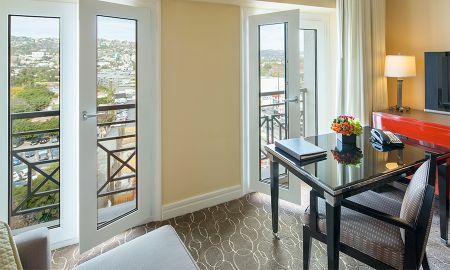 Sofitel Los Angeles at Beverly Hills is the perfect place to plan the day of your dreams with a hint of Hollywood glamour and luxurious French flair. Set the stage for happily ever after with inspiring views and the perfect wedding reception. Ideally situated in a central position, explore the City of Angels from this prestigious base. 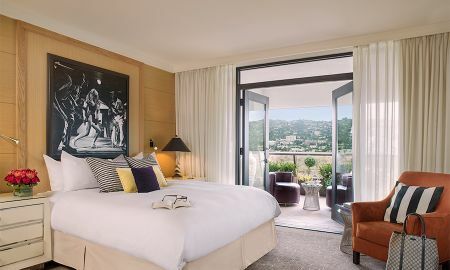 Located adjacent to the elite shopping experience at the Beverly Centre, the city’s best attractions are nearby, as well as the vibrant nightlife of the Sunset Strip and world-class couture on Rodeo Drive. Union Station and the Los Angeles International Airport can be reached within a 30-minute drive from the property.